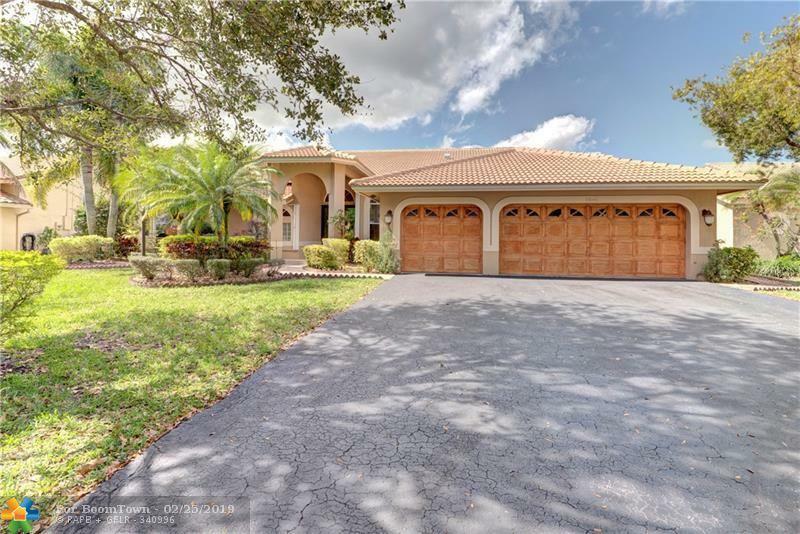 Beautifully updated 4 bedroom, 3 bathroom pool home with a lake view. This home features a brand new roof replaced in 2018. Hurricane impact sliding glass doors with accordian shutters on all of the windows. 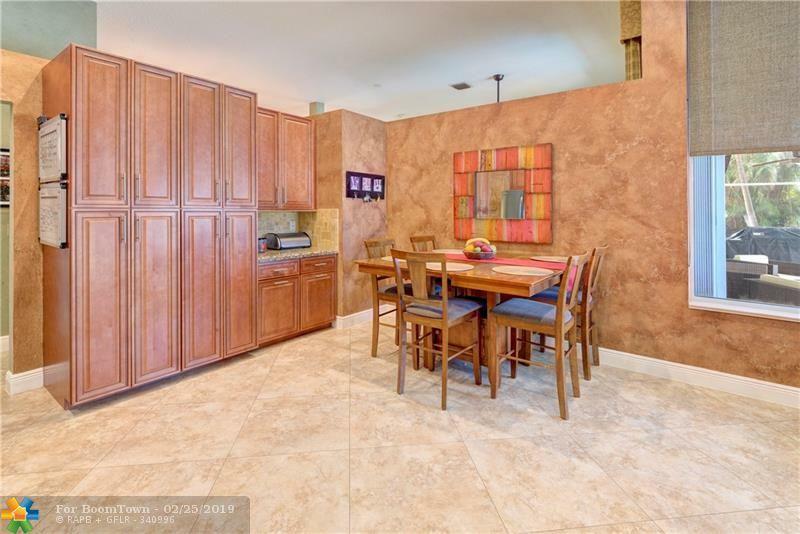 Large tile throughout the common areas of the home and the bedrooms all have matching wood like tile. 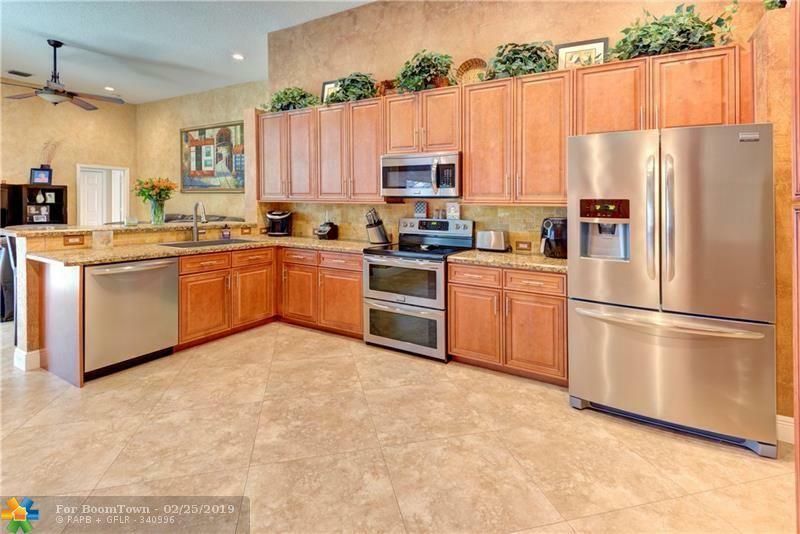 Kitchen features top of the line wood cabinets with soft close drawers, newer stainless appliances, and a huge sink. The pantry has sliding drawers. 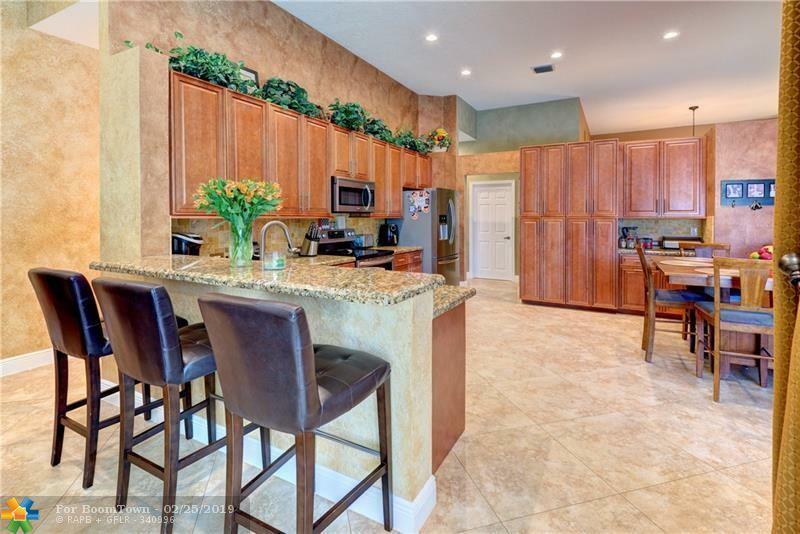 Kitchen has so many cabinets you will have plenty of space for all of your cooking needs. Spacious master bedroom with his/hers closets with closet shelving and drawers. Master bathroom has dual sinks, relaxing tub, and a walk in shower. All of the bedrooms are large and have a lot of closet space. Low HOA of $900/year.